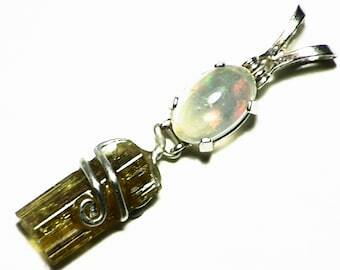 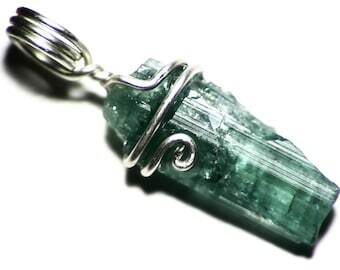 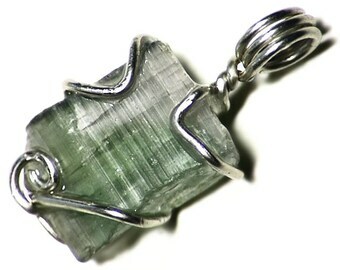 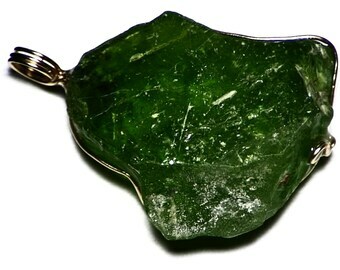 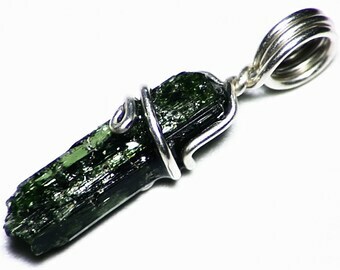 This pendant features a crystal of natural green peridot. 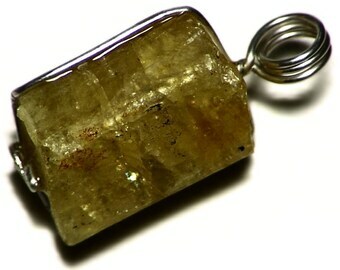 It measures 0.64 x 0.62 inches (1.64 x 1.58 cm) and weighs in at 16.0 carats. 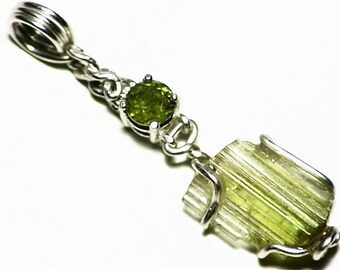 Peridot is a stone which has been known and valued since ancient times. 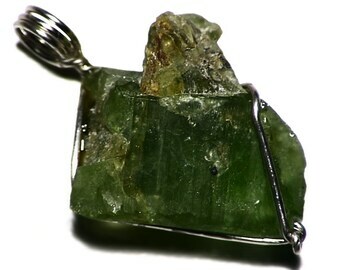 In the ancient world it was known as chrysolite (and possibly also as 'topaz'), and sourced from an island today known as Saint John's Isle in the Red Sea. 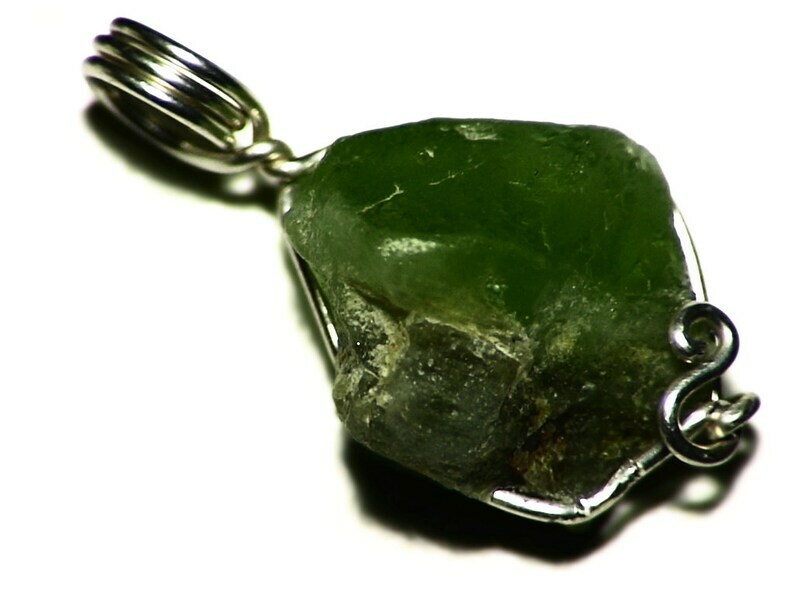 Today, Pakistan has risen as one of the main sources of peridot--stones from there often come in rich green colors and occasionally large sizes. 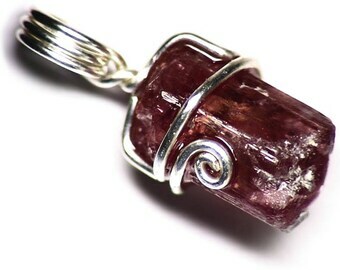 This is a nice example, with an unusually flat form and etched crystal faces.